Description: BEACH CORNER guests this week are Debbie, Rene and Frankie D from the TELSTARS Rock'n Roll Band. 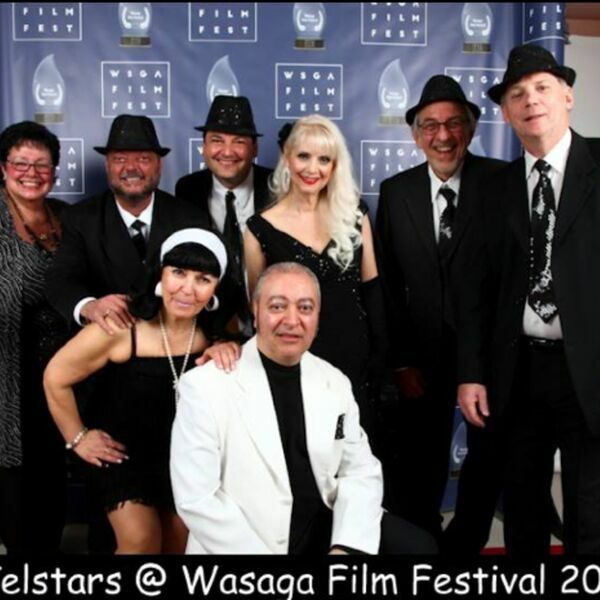 A 50's/60's style band who performed at our 5th Annual Wasaga Film Festival Red Carpet Gala Awards as our opening act back in April. They are referred as the "fun band" where fans get up and dance at their concerts. Debbie, Rene and Frankie D will share their passion of the 50's/60's music and upcoming events. BEACH CORNER from Beach BOOSTER Radio is available ON DEMAND at anytime on any device from our Beach BOOSTER Radio Podcast Page. BEACH CORNER guests this week are Debbie, Rene and Frankie D from the TELSTARS Rock'n Roll Band. A 50's/60's style band who performed at our 5th Annual Wasaga Film Festival Red Carpet Gala Awards as our opening act back in April. They are referred as the "fun band" where fans get up and dance at their concerts. Debbie, Rene and Frankie D will share their passion of the 50's/60's music and upcoming events. BEACH CORNER from Beach BOOSTER Radio is available ON DEMAND at anytime on any device from our Beach BOOSTER Radio Podcast Page.